Sgt. 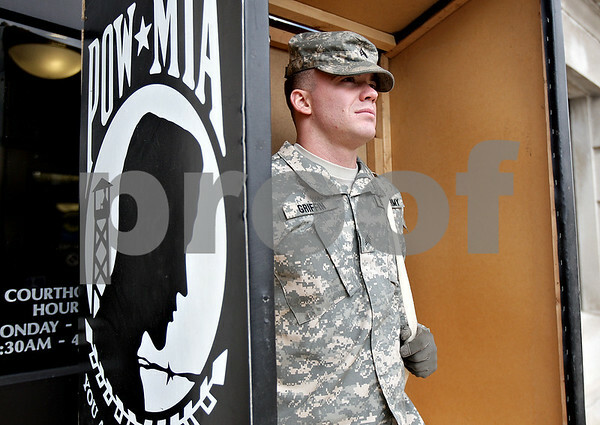 Sean Griffin stands in a wooden box to protect him from the wind during his five-hour shift in front of the DeKalb County Court House on Saturday, November 9, 2013. Veterans took turns keeping vigil from 6 p.m. Friday to 6 p.m. Saturday.